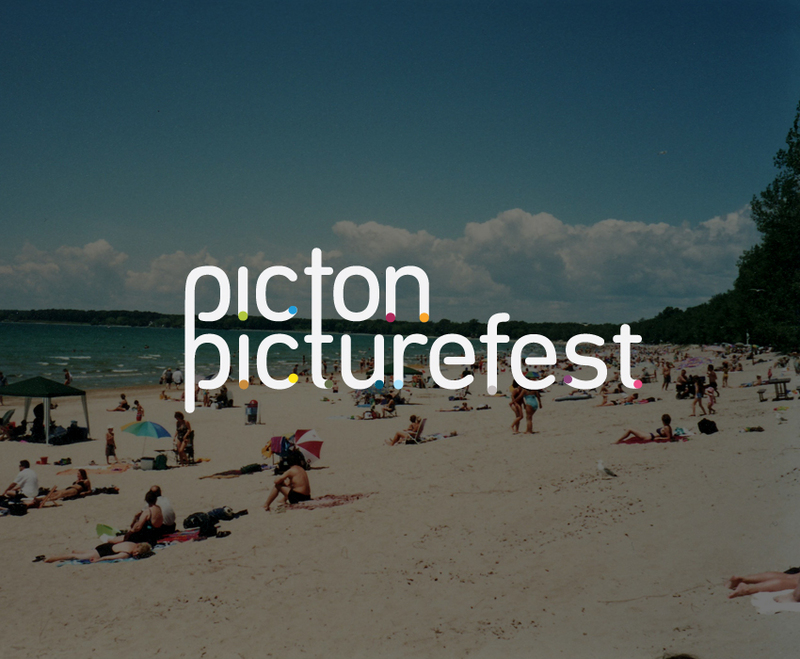 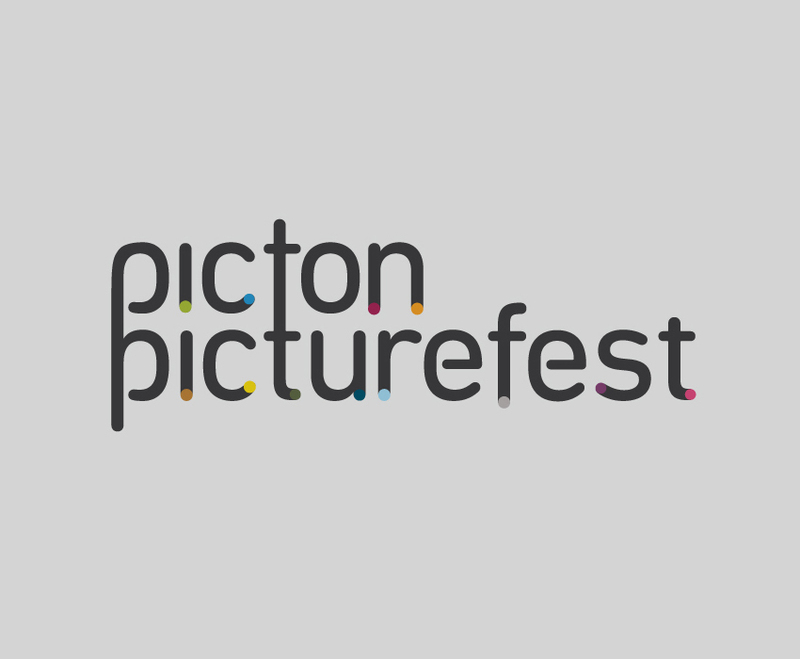 Picton Picturefest is a four day festival of film screenings, youth workshops, parties and merriment amidst one of the most picturesque communities in Ontario. 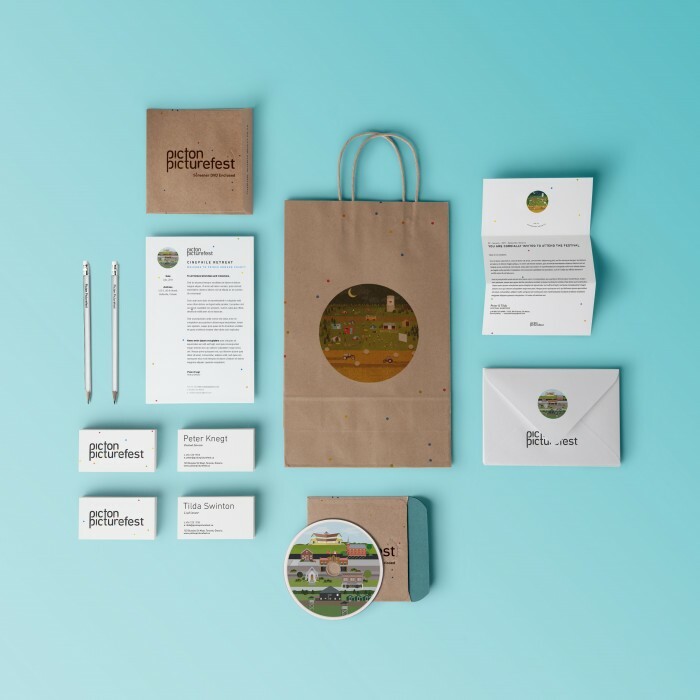 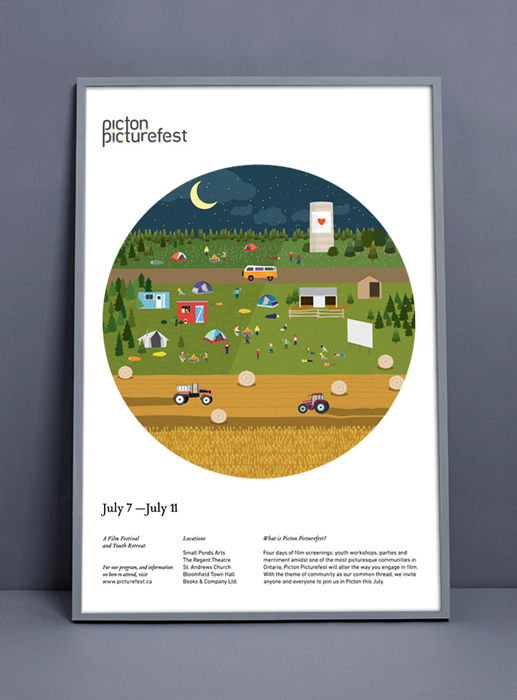 We did the full creative direction, branding, identity and advertising for the festival. 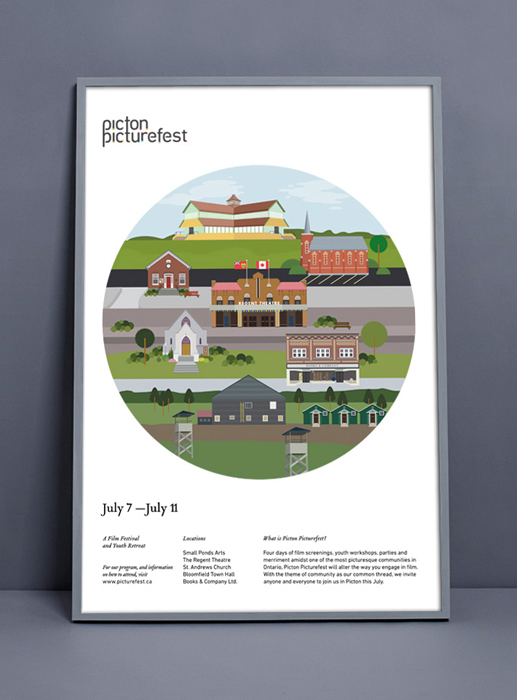 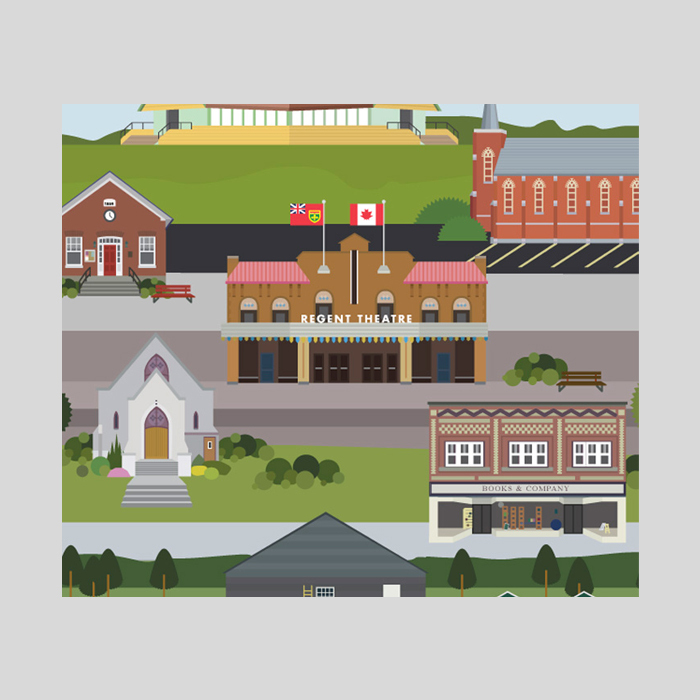 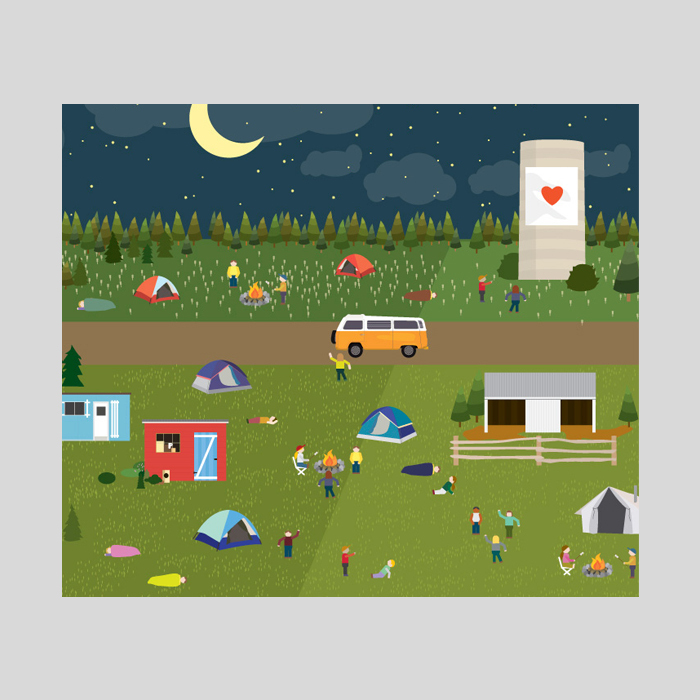 We created illustrations of landmarks that were familiar to the town of Picton, Ontario, which helped to promote the theme of community and to also give the idea that the festival is in a rural area.